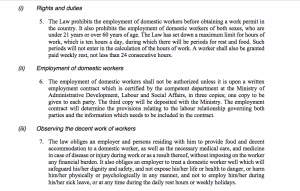 In early February Qatar’s cabinet approved a draft law on domestic workers, though very little information accompanied the announcement. But a few more details have been revealed in a report submitted to the ILO Governing body. The report will be taken up in the ongoing 329th session in Geneva. The provisions of the law barely skim the surface of the problem. 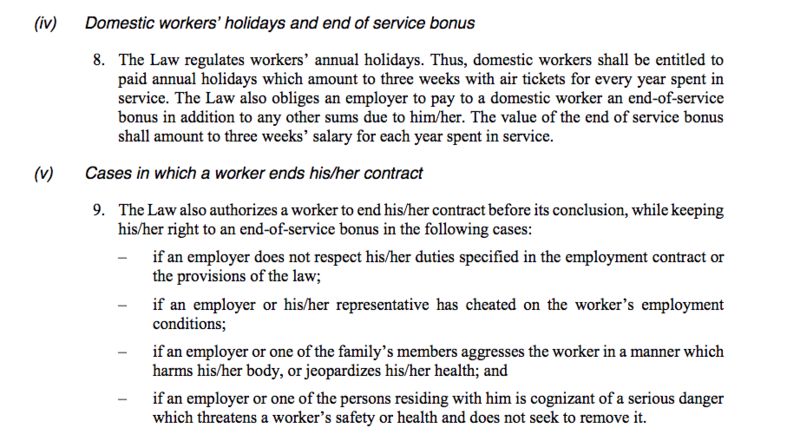 A draft law in 2008 met with several hurdles, particularly over the provision for a weekly off day. The new law includes a weekly 24 hour day of rest. 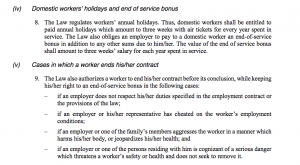 It does not specify how and where the domestic worker will spend it, or about his/her freedom of mobility. Quite clearly, the Qatari cabinet rushed the law’s approval on February 8, to be able to add it as ‘progress made’ in time for its response to the ILO on February 20. The ILO had initially set March 2017 as the deadline to determine if it would appoint Commission of Inquiry. Following Qatar’s report, there is a request to defer the decision to November 2017, the final decision on which would be taken on 21 March. A closer reading of the provisions of the law show that this is not necessarily true. Dispute settlement are subject to the provisions of Law No 14 of 2004 and amendments thereto, including the recently constituted workers’ dispute resolution committees. While this appears on paper as inclusive, it fails to recognise the great isolation in which domestic work is carried out, and that there is no effective inspection mechanism. The law also doesn’t address the problem of ‘runaways’ or ‘absconding’. The moment a worker in distress leaves their employer, they can be reported as such, rendering their status illegal in the country. Unless there’s a specific provision addressing this, workers would hesitate to leave an abusive work environment, leave alone file a complaint. 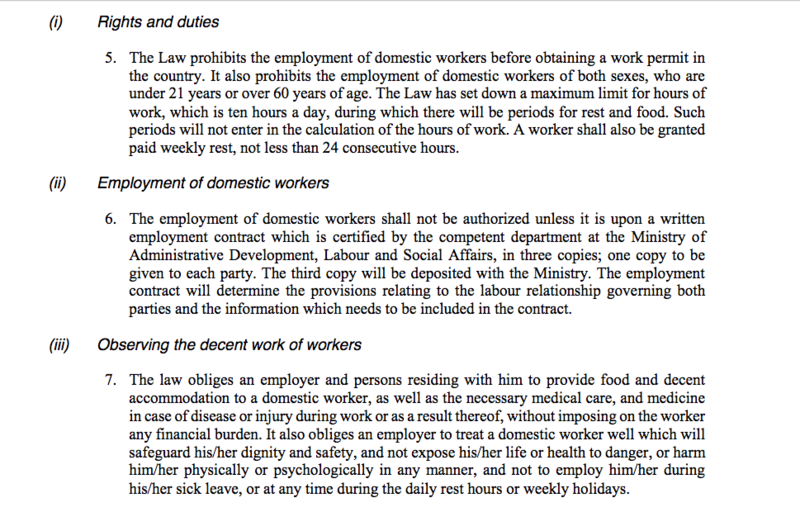 When the law comes into force, Qatar would be only the second country in the Gulf, after Kuwait, to have a domestic workers law. It should ensure that it is not merely ticking off a box to deflect attention, but making changes that truly empower and protect domestic workers. Qatar should learn from the stumblings in Kuwait’s experience, where few of the progressive provisions in the domestic worker’s law have been implemented in the year since its passage. Editor's note: The decision to defer to November 2017 is not yet final. The text has been edited to reflect this.